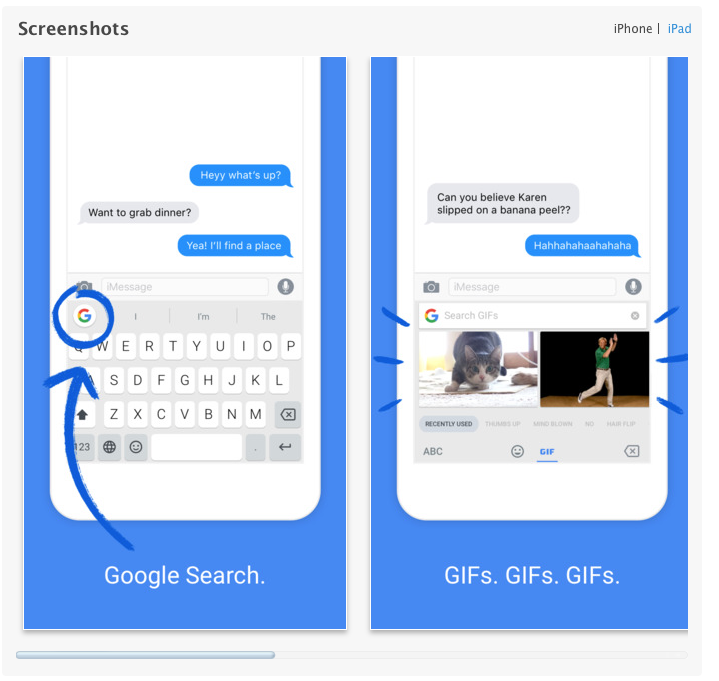 I am a big fan of the Gboard keyboard - especially the ease of sending GIFs (Graphics Interchange Format) - or more simply think an image moving over and over again (kind of someone giving a high five over and over and over). 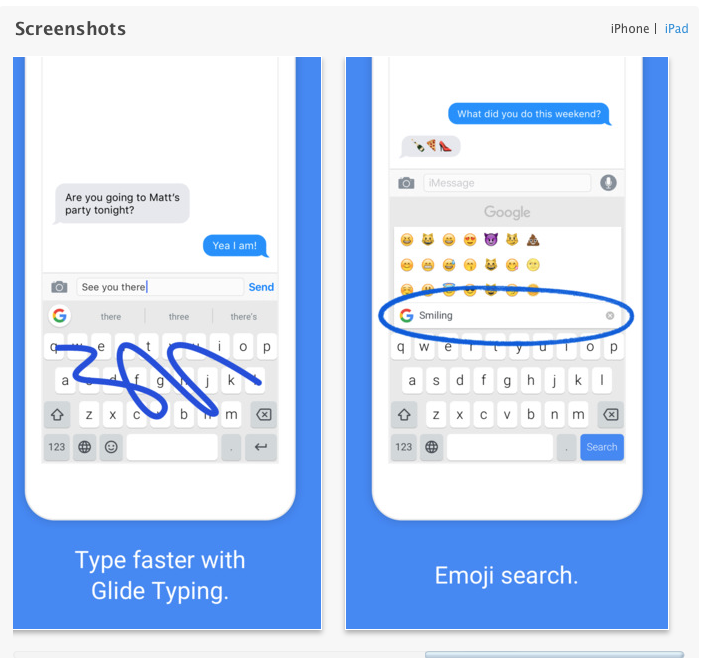 The other thing I am starting to get used to is "glide typing". Think of dragging your finger on a keyboard and it figuring out what you want to say (works pretty well). Look at the 2nd picture below for an example. If interested - click here to connect to the iTunes store download the app to your iPhone.